Women and a girl carrying jugs up and down stone steps in a village. The name Max lower left. 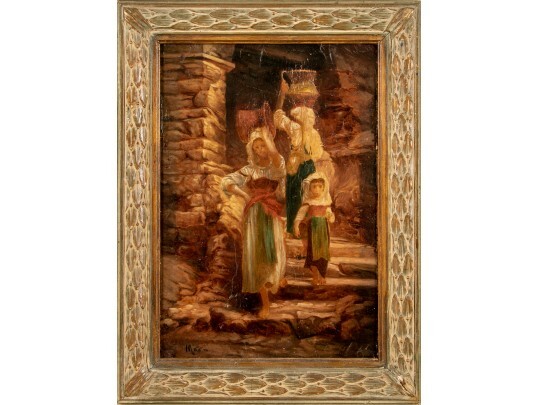 wood and gilt frame 14 1/2 x 10 3/4"